Earlier reports had suggested that the Vice President supplied these items. 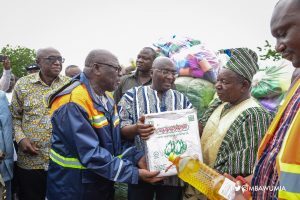 Speaking to Citi News, Northern Regional NADMO Coordinator, Isaac Seidu, said subsequent investigations by his office established that some of the food items which formed part of the supplies from the Vice President had indeed expired. The post Expired food items to flood victims was our mistake – NADMO appeared first on Citi Newsroom.